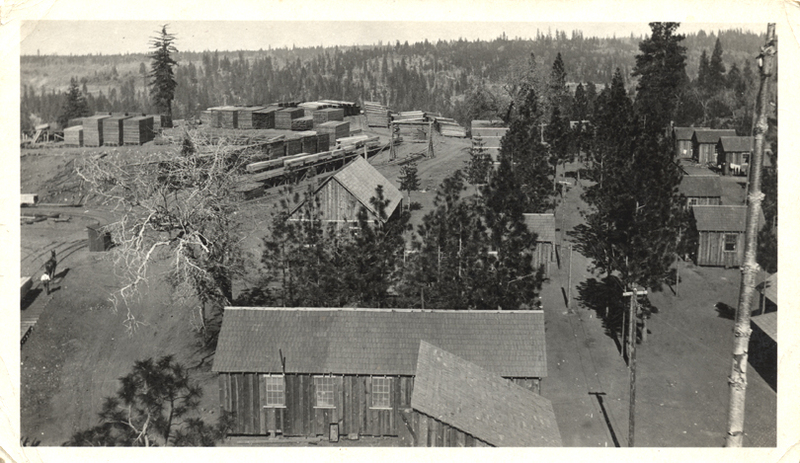 As we start on the Amador County logging history, this editor was fortunate enough to talk with Roland Matson, the man primarily responsible for the operating steam saw mill at the Amador County Fair Grounds in Plymouth. 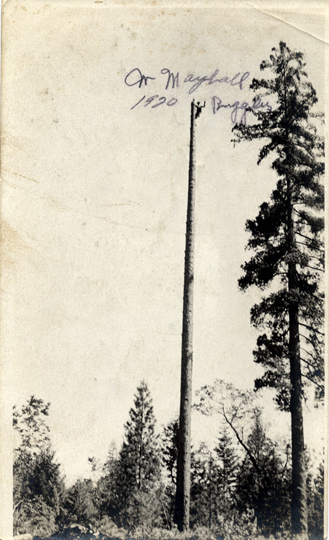 We, the Logging Museum, have some photographs that were donated to the museum by Roland, but we will need, first of all, to locate them amongst the thousands of photographs that we own, but do not yet have cataloged. Then we need to connect those photographs with the events and places that they picture.However, as a first step, the Ruggles Mill was of particular interest to us Calaveras folks because the Blagen Mill, upon whose site our museum sits (more or less) was located here in 1938 because of a large tract of land that was available for purchase. 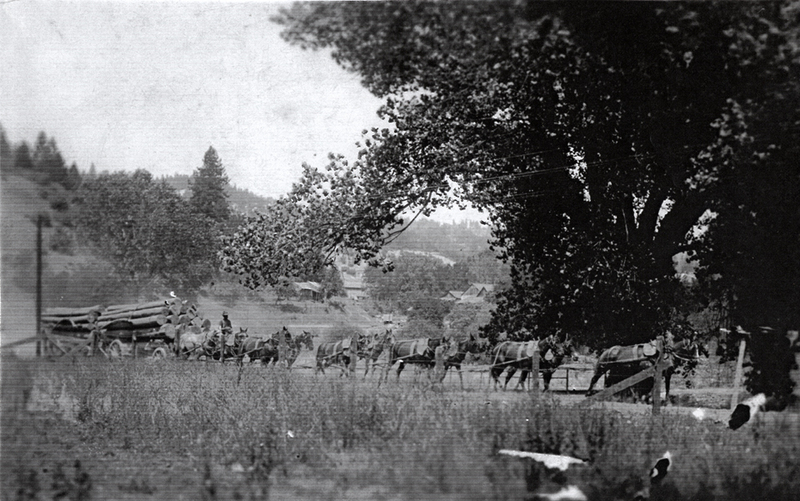 This land was known as the Ruggles Tract and was no doubt part of the operation, or planned operation of the mill in Amador and northernmost Calaveras County.Thanks to the terrific resource of the Amador Historical Society and the Amador County Archives, we have some pretty amazing photos of the Ruggles Mill in operation. They follow. I’ve done nothing to clean up, or try to improve the pictures, deciding at this point to let them tell their own story, imperfections and all. This fellow has just topped off what is going to be the spar pole, a tree used to attach blocks and cables in order to be able to lift logs off the ground and to move them from where they were cut to a place from which they can be further transported, or otherwise processed. He, or someone, wrote his name and the date on the photo. 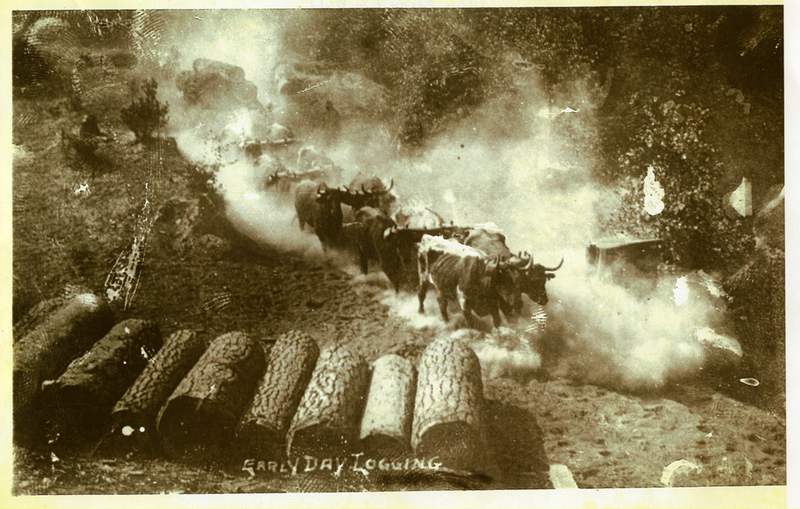 A terrific photo of a whole team of oxen moving a load of logs up a very dusty path. 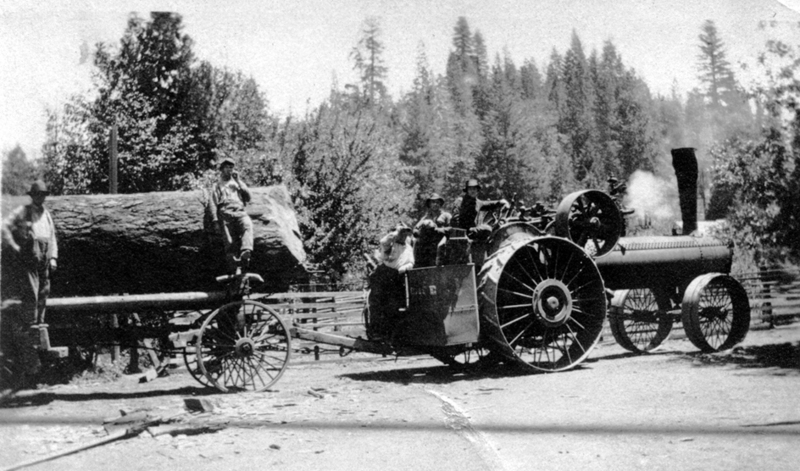 To finish our trilogy of log hauling methods, this is their steam traction engine moving a load of logs on a wagon, or more likely, wagons. 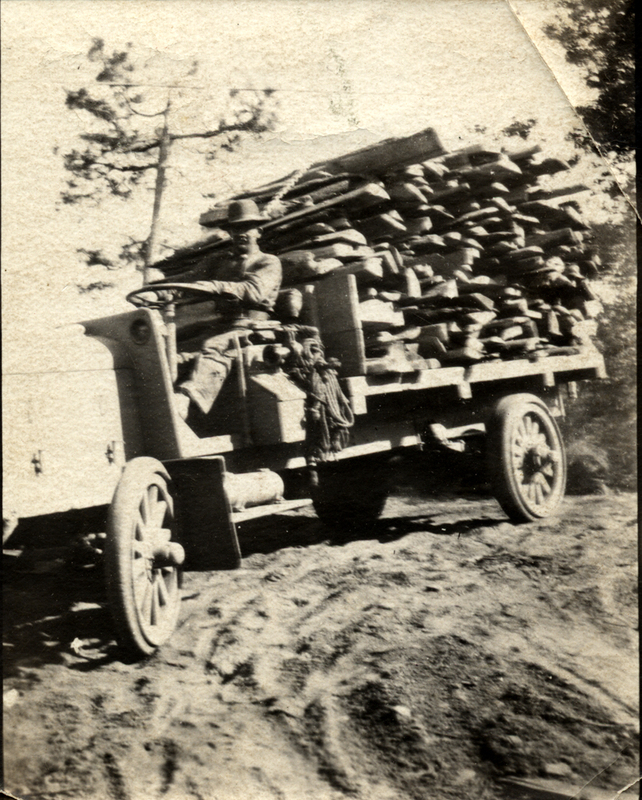 This truck isn’t moving logs, but it’s hauling slabs in the 1920’s. Not in focus, but still interesting. A steam donkey shown using a spar pole for its winch cable. A steam donkey shown working at a considerable angle. Good view of its piston and gearing. A steam donkey working amidst all of the trimmings from the trees that it has been working on. Folks at the camp watching the rigger doing something. We wish we knew what he was doing and why he was so interesting that he drew a crowd. The Ruggles Mill at what is now Mace Meadows. Hopefully, as time goes on, we’ll give you more details about this mill. 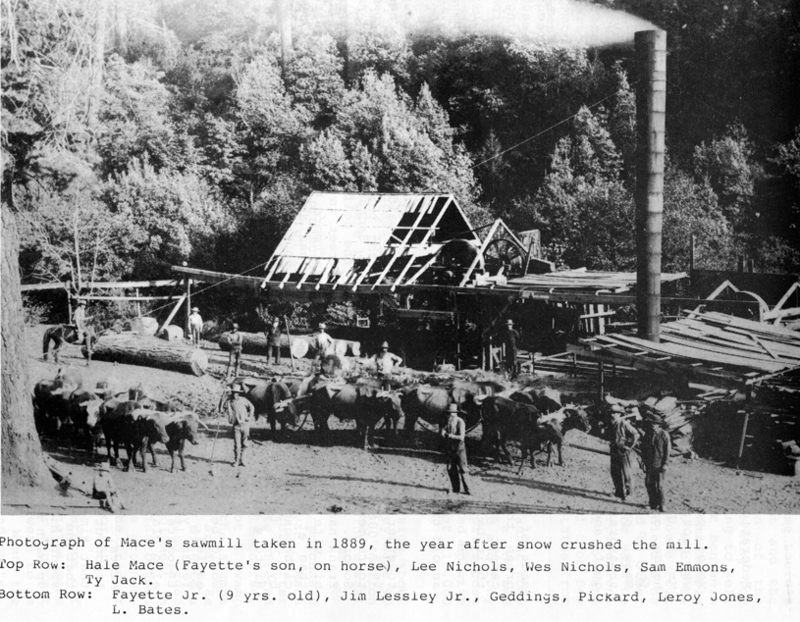 An interesting photo of the Mace Mill, which we assume preceded the Ruggles Mill at, or near, this location. A duplicate is in the section on Tiger Creek, as one of the “other photos”. I didn’t know Rolland converted the Amador Fairgrounds sawmill to steam. 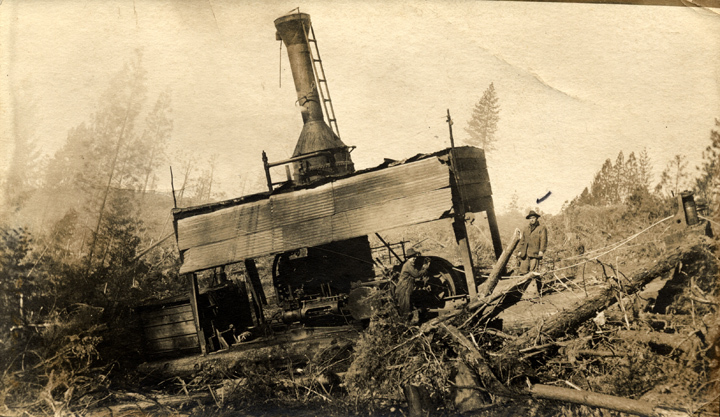 I was under the impression that the Amador Sawmill and Mining Association brought steam to the mill in 1993. We didn’t say that Rolland converted the sawmill to steam. We gave him primary credit for the sawmill in general, because that’s what we were told by a person or persons involved in the work. I think they said that Rolland (guess we should check on the spelling) and someone else located the old sawmill where it lay pretty much buried. There was no intention to exclude anyone, it’s just that he was the person mentioned. We’d be happy to give credit to others if we know who they are. By the way, we love seeing the steam sawmill at work during the Amador County Fair. Great project. How come there is nothing mentioned about P & M Cedar Prod. that was in Pioneer? Candy, you might ask us why there is nothing mentioned about thousands of sawmills in the Sierras. The reason is that we have no information about them. Well, even if I had the information, I couldn’t handle thousands, but I certainly could handle more than we have. Incidentally, in the past year, I’ve added about 8 sawmills and lumber companies to our site, and the process is still underway. Actually, the cedar mill at Pioneer was one of my favorites for a number of reasons. Reasons such as how good it smelled to go by there, the teepee burner staying around after the mill was gone and more. A great reason for us to be partial to the company is that our entrance is graced by one of the giant pencils from the Pioneer mill. We’ve made it into our first attraction. It gets a lot of favorable comments. 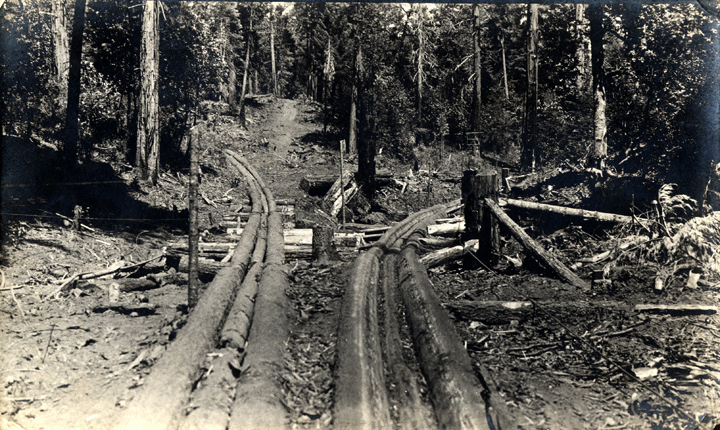 Find me some information about the history of the cedar mill and I will get it on the web site. We’d love to do that. I spent many years as a child living next door (just before) to the mill with my grandparents and to this day remember the wonderful cedar smell. They named their little place Trails End Chinchilla Ranch, as they raise chinchills for many years. We kept the land untill 2004. Many memories of sneaking onto the property to play. I may have pictures and will send them if I find them. I loved the smell of the cedar mill. to this day i can smell cedar burning and picture the huge piles of logs. My father also worked there for a short while. i haven’t seen it in years…..guese i never will. For those folks that the smell of fresh cut pine, fir, and cedar bring back memories of the days of when that was common in the Sierra Nevada mountains, I invite you to come and see, smell, and hear a steam sawmill at the Amador Fairgrounds in Plymouth, CA. each July. This year the Fair will be July 28th thru 31st. Listen for the steam whistle at 11am & 3pm each day to announce another trip back in time when the sawblade howls as it bits into a log and the steam engine exhaust sounds the heart beat of yesteryears. There is also a restored 1945 Clyde Iron Works steam donkey putting on demonstrations near the sawmill. 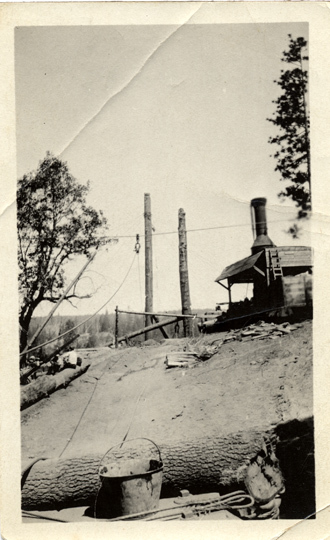 A 1930 era sawmill, updated in the 1950s when it last operated has been accepted by the Central Sierra Historical Society & Museum in Shaver Lake, CA for an outdoor exhibit. I am seeking information on any appraisals of historic sawmills to aid in developing an appraisal for our donor. We have no information that can help you in this regard. Does any of you who visit this site remember the name of the mill that was on the right side of the Fiddletown Road, just before you cross the bridge? Actually it sat quite a ways back, but it is now gone, and the property is privately owned. My dad worked there in the late 1940’s. I am glad that they have the steam driven saw mill at the fairgrounds. I have visited that often, just to enjoy a part of our history. My name is Ron Mays. 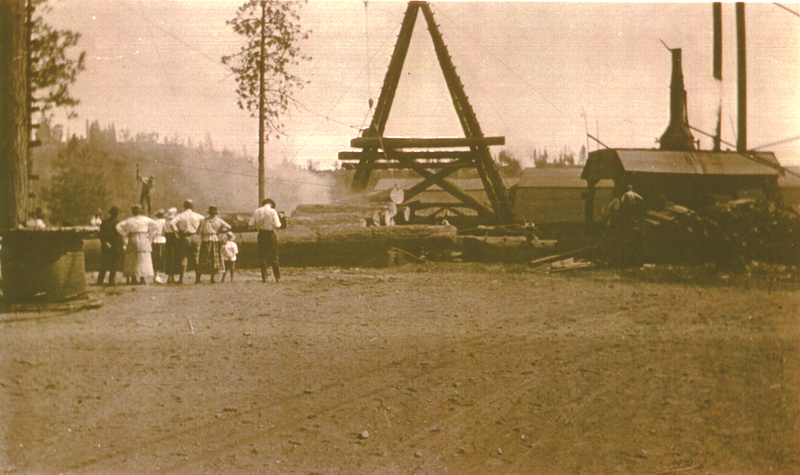 My family lived next to the cedar mill for most of its existence. My grandpa, Vernice Mays was the Millwright when they built the original, 1943-44 which burned down about 1950-51. My granparents sold the acre of land to Lynn’s grandparents for their chinchilla ranch. Knew them well. we loved the smell of cedar as well, but not the cinders which covered everything most every morning.